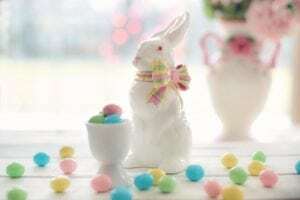 While the secular world prepares for Easter Sunday with its usual display of colored eggs and rabbit greeting cards, the Catholic Church has more than its fair share of rich traditions leading up to Holy Week. 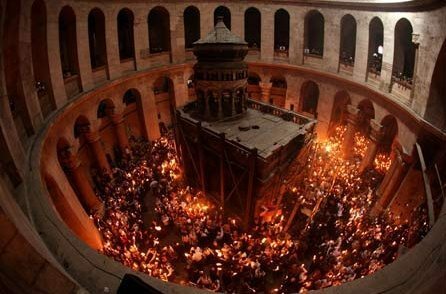 Catholics from all corners of the globe each have their own unique customs and places of worship as they celebrate Christ’s Passion, Death and Resurrection. Today, let us explore their cultural traditions and see how our brothers and sisters in different countries share our faith. Found in no less than the Old City of Jerusalem, the Via Dolorosa is believed to have been the genuine path on which Jesus walked to His crucifixion. Today, it is also a world-famous pilgrimage site where many Catholic devotees can conduct the Stations of the Cross. The path starts at the famous Lions’ Gate near the remnants of the Antonia Fortress. A noticeable aspect of the Via Dolorosa is that each station is marked with a chapel, a monastery or a full place of worship. Each one pays architectural homage to the events being described. The first and second stations are surrounded by three churches named in reference to Christ’s scourging and condemnation by Pontius Pilate. The Polish Catholic Chapel marks the third station with an engraving of Christ’s first fall. The Our Lady of the Spasm oratory serves as the fourth station, with a lunette bearing the bas-relief of Christ’s encounter with the Blessed Mother. The Chapel of Simon of Cyrene and a church dedicated to Saint Veronica and the Holy Face are also found along this route. At the end, where several of the last stations are found, pilgrims will be taken straight inside the Church of the Holy Sepulchre. This makes the Via Dolorosa a truly sacred place for both practicing devotion as well as learning more about the Church’s long history. The Philippines is known for many grand festivals but one of its most iconic celebrations happens on Holy Week. The famed Moriones festival happens on the island of Marinduque and is named such because of the recognizable morion masks used in the procession. The procession celebrates the Passion of the Christ by re-enactment. The masks in particular are worn by colorfully costumed participants cast in the role of Roman centurions. Everyone, from the mask makers to the actors themselves, takes part in this tradition as a deep form of penance. The event is also a celebration of St. Longinus, the Roman soldier who was blind in one eye and was present at the side of Christ at the moment of His death. As his story goes, he pierced the side of Christ and his blind eye was miraculously healed by the blood and water that poured forth. His life, legend and eventual martyrdom is also commemorated throughout Holy Week. 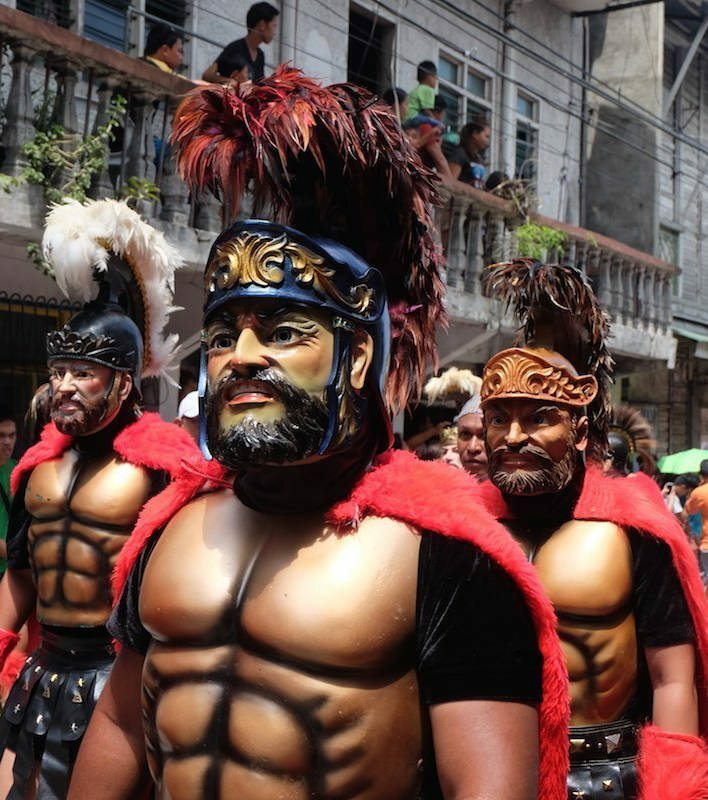 The Moriones Festival was originally celebrated in the town of Mogpog but its popularity soon spread to the rest of the island. For all Filipinos, it is not only a celebration of their national heritage but also their religious heritage as one of the few predominantly Catholic countries in Asia. 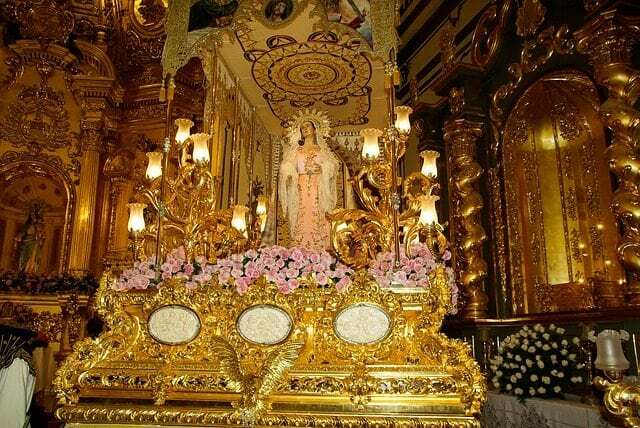 Spain is another country that colorfully celebrates Holy Week. 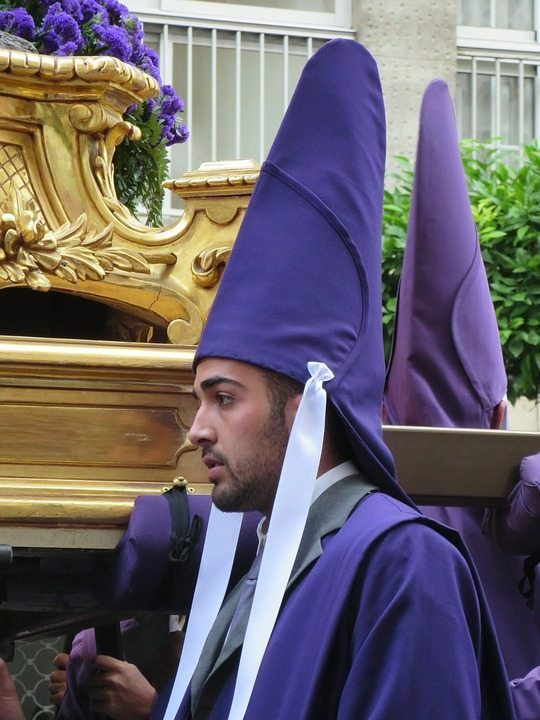 Semana Santa festivities are found in many cities, from Zamora to Castilla-Leon. Processions are known to draw in thousands of devotees and tourists alike. And at the heart of these processions, there march the religious brotherhoods in their trademark capirotes. The various colors and styles are meant to distinguish the brotherhoods from one another. Beautiful songs of worship are also prepared throughout the course of some of these processions. Beyond the costumes and the pageantry, however, there is also a spirit of penitence in all participants. Some of these may also be seen carrying a particular float that bears an icon of great importance to its respective brotherhood and the church that it is from. The weight being born is certainly not for the faint of heart, but those who take up the task do so with the intent of spiritual discipline by likening the weight to the weight that Christ bore when he carried His cross. Across all these celebrations, there is a resounding theme centered on Christ’s redemptive suffering and the triumph of His Resurrection. This is the true message of Easter for Catholics, no matter where they are in the world. In one way, it is also an affirmation of the Church’s universality and how our faith transcends boundaries of countries and national cultures. That is why one should never be discouraged when they feel overwhelmed by a secularized version of Easter all round them. You have brothers and sisters in Christ all over the globe, joining with you in celebrating the true meaning of Lent.